Roy Bowring doesn’t travel to Pontefract often, he’s sent 6 up north in the last 5 years with 2 winners from his travels, one of the mentioned winners came from Foolaad which was in this race last year off just a 1lb lower mark when recording a career best over this stiff 5f trip when beating Al Astronaute who franked the form in strong handicaps just after, Foolaad himself carried himself well in big handicaps since and in his penultimate race of the season he won a good class 2 at Catterick off a good mark. He started this year off well on the AW in his first 2 starts before 2 lacklustre displays also on synthetics, he quickly returned to form when returned to turf to record his 11th career win in a strong class 3 on fast ground, the race looks one to follow and he only he goes up 3lb for that success, he gets a nice draw in stall 2 and will love the fast conditions and although runs well over 6f, this step back to 5f brings out his best. Scored well on debut on the Wolverhampton tapeta before pulling away his chances NTO back at Wolverhampton, he still finished a good 3rd despite his early exertion in a good form race, he returned this season after 105 day break at Lingfield shaping much better just getting beat by a race fit well-bred Mohtarrif who was also in receipt of 7lbs from FOA, that performance needs marking up and his mark of 84 looks very exposable, today he has a lot of big positives on his side, he’ll be fitter for the recent run, he’ll improve on the turf on pedigree, he’ll improve for the step up in trip not only visually but again on pedigree and Ryan Moore is interestingly booked, who not only is best jock around, but trainer and jock have a great record when teaming up with 11 wins from 28 career runners and a 50% strike rate the last 5 years, plus both separately are in terrific form with James Tate already with 19 winners, 31% strike rate this season, a huge 60% the last 2 weeks and just the one runner out today, also Ryan Moore has picked up 8 winners the last 2 weeks with a strong 40% strike rate with just the 2 runners today. A open race but one in my tracker that’s shown ability that I’ve been waiting until he’s up in trip is Conundrum, he doesn’t get extra trip here but he has been gelded which I predict will see a big improvement alone, trainer Jedd O’Keeffe has started the season in good form with a 21% strike rate, 5 winners from 21 he sends just the one to Pontefract today and again books Jack Garrity who himself has already bagged 6 winners from 26 rides 23% strike rate and rides Pontefract well. 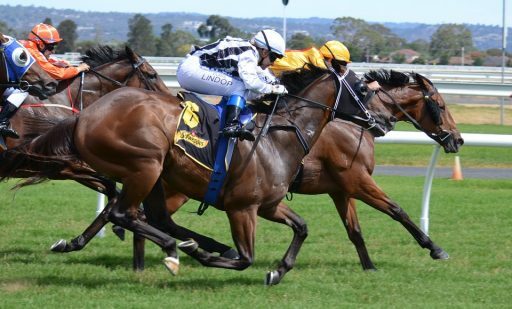 He certainly looks on a good mark and one that looks likely to run up a winning sequence at some point, whether it starts today or when his upped in trip is another question but one to add to your trackers and keep on side.